For sale TTRS / RS3 370mm 4pot Brembo calipers. Both calipers in good working order all seals & pistons has been inspected and are fully working no Leaks. Please be aware these are used brake calipers so will have marks and some minor paint chips but nothing serious. Will come with Standard TTRS/RS3 370mm brackets !! To Fit Ford Fiesta Models. Front Brake Discs And Calipers, From: 30-11-2001 To: 15-06-2012. Part Number Finis Code : 1473917. Can Check Suitability. Sharan - 2001 to 2010. Bora - 1999 to 2005. Transporter - 1996 to 2010. TT - 1999 to 2006. A3 - 1997 to 2003. Golf - 1998 to 2006. Cardiff Audi. THIS CALIPER FITS HYUNDAI I40 2012-2016. SORRY FOR ANY INCONVENIENCE THIS MAY CAUSE. Electric motor and caliper must be complete (no missing parts). All threads in aluminium part must be fine. Caliper must be complete (aluminium part and motor). Part Numbers: SMC500110 & SMC500240. SMC500110 240 Rear Brake Calipers. Land Rover Defender 90 New Rear Brake Calipers (Pair). Defender Parts. Defender 90, All Models (From 1994 Onwards). Series 2 & 3 - Defender 90/110/130, Discovery 1,2,3,4,5 & Sport - Freelander 1 & 2 - Range Rover Classic, P38, L322, L405, Sport & Evoque. SOB500052 Rear LHS Brake Caliper. Part Number: SOB500052. Range Rover L322 New Rear LHS Brake Caliper. Range Rover L322, (2006-20010). Series 2 & 3 - Defender 90/110/130, Discovery 1,2,3,4,5 & Sport - Freelander 1 & 2 - Range Rover Classic, P38, L322, L405, Sport & Evoque. 34116772428 MINI R56 3 doors Cooper S N14 (MF72) 01.02.2006 - 0.050 kg Will it fit?. If you are unsure as to whether an item is suitable for your vehicle, it’s important that you. 34116772428 MINI R56 3 doors Cooper S N14 (MF71) 01.02.2006 - 0.050 kg. All our parts are in a used condition unless otherwise stated. They will be removed from a running vehicle. 34211157046 3 Series E91 LCI Touring 320i N46N 01.06.1986 - 0.018 kg. 34211157046 Z4 E86 Coupé Z4 3.0si N52 01.06.1986 - 0.018 kg. 34211157046 3 Series E91 LCI Touring 320d ed N47N 01.06.1986 - 0.018 kg. INCLUDES GREENSTUFF PADS, NEW CALIPERS & GROOVED DISCS! German part specialist ltd has over 30 years experience within the motor factor parts Industry. 7H0615124A 7L6615124F. T5 2003 - 2015 Transporter / Caravelle (for models with 308mm front brake discs only). Touareg 2003 - 2010 (2.5 TDi 5 cylinder models with 308mm brake discs only). T6 2015 onwards (for models with 308mm front brake discs only). PART NO 4E0615404BX. BIG ENOUGH TO MATTER.SMALL ENOUGH TO CARE. to make sure that the advertised part will fit your car and to. WE ALSO HAVE A FITTING SERVICE. Mini Cooper S (12 mm. inlet) R52 - R53 03.02-10.03. Mini Cooper S Works (10 mm. 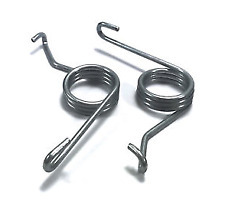 inlet) R52 - R53 11.03-. Mini One (12 mm. inlet) R50 - R52 06.01-04.03. Mini Cooper (12 mm. Mini One (10 mm. ). 34216753675 7 Series F02 LCI Saloon 740Li N55 (02.01.2003 — 11.12.2006). 34216753675 7 Series F02 LCI Saloon 740Li N55 (02.01.2003 — 11.12.2006) (02.01.2003 — 11.12.2006) (02.01.2003 — 11.12.2006). 34216753675 X3 E83 LCI SUV X3 2.0d M47N2 (02.01.2003 — 11.12.2006) (02.01.2003 — 11.12.2006) (02.01.2003 — 11.12.2006). Exhaust Valves. Caliper Brakets. Caliper Kits. Brake Shoe Adjusters. Head Bolts. Caliper Seals. REAR BRAKE CALIPER. Main Bearings. Hi this set of Genuine BMW E46 330i Front brake calipers and carriers are in perfect working condition. LEFT Caliper. RIGHT Caliper. Suitable For:- All Triumph MK3, MKIV & 1500 Spitfire models. All late Herald 1200 & 12/50 from 1967 onwards, as well as all 13/60 Herald models. Triumph Spitfire & Herald. This is cast aluminium caliper with 43mm piston. Electric motor can't has any signs of dismantle, previously refurbish, broken off screw holders or electric socket. All threads in aluminium part must be fine. Genuine calipers Fully Refurbished come with 12 Months Guarantee any questions please ask. 41mm piston Next day delivery options available provided checkout completed by 1pm not including weekends or bank holiday. Please let us know if your in need of this service German part specialist ltd has over 30 years experience within the motor factor parts Industry. We only use genuine OE parts or parts that exceed the oem quality on all of our remanufactured items. All of our items for sale are tested, built and completed using hi-tech equipment. Part Number; 34116772428. Genuine BMW & MINI Parts. Ford Focus MK2 2004-2016, Ford C-max 2003-2010 Remanufactured Left Hand Front Brake Caliper. You have 18 months warranty on the calipers. 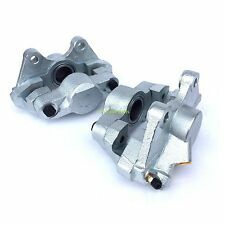 Factors that could void warranty cross threaded calipers, misuse of the calipers. Transporter/Caravelle T4 1990-2003. Cleanliness is key any dirt or grit remaining in the caliper will also most probably result in a leaking caliper. Brake caliper repair kits. Brake caliper pistons. SpecialistBrake Caliper Remanufacturer. RENAULT 5 GT TURBO USED AEI EC RE209 TO KNOCK SENSOR LEAD CABLE X 1 SUPER 5. Condition is Used. Dispatched with eBay delivery – Shutl 2-3 days. 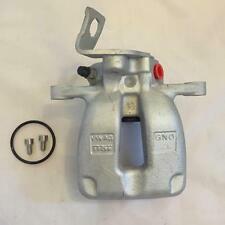 Volvo 850 N/s Or O/s Front Caliper Used. All tested before dispatch. All come from good working veihcles. You will receive x1 caliper when pressing buy it now add to note what side or message me. TR3B 1962> TR4 1962> CT4690> TR4A TR5 TR6 up to CP76094 or CC810772 VITESSE 2000 not 1600. THESE CALIPERS ARE THE EARLY STANDARD THREAD TYPE FITTED ON CARS UP TO APROX 1972. WRX, GB207 UK300 Etc. Chassis Codes: WRX Models. Subaru Impreza. 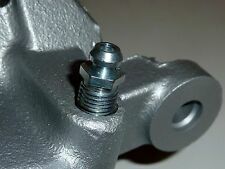 Front Caliper Mounting Bolts. 4 x Caliper Bolts. Subaru Service Parts (1102). MODELS WITH 4 PISTON CALIPERS, THESE BOLTS MOUNT THE CALIPER DIRECTLY TO THE HUB. This item is for Audi A4, but should fit many other Audi’s also. VW Parts International. See below link for the Upper Bolt also. Price is per Bolt. Air Lift Performance. Choosing the right Air Lift Kit. Cleanliness is key any dirt or grit remaining in the caliper will also most probably result in a leaking caliper. Brake caliper repair kits. Brake caliper pistons. SpecialistBrake Caliper Remanufacturer. 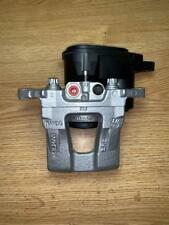 Will fit MK1 GG/GY & MK2 GH Mazda 6 (2002-2012). Rear Brake Caliper. Repair Kit. Part has been cleaned, inspected and tested. Suits all Renault models Listed Below Renault Part Numbers: Available On Request. All our used parts are fully inspected tested and cleaned prior to dispatch, and carry a minimum of 3 months warranty. 22B, Type R, WRX, V Limited. Subaru Impreza. Rear Caliper Seal Kit. Subaru Service Parts (1102). 1 x Rear Caliper Seal Kit. THIS KIT HAS ALL THE SEALS NEEDED TO REBUILD BOTH CALIPERS. CARS WITH SUBARU 2 PISTON CALIPERS ONLY. BRAKE CALIPER REAR LEFT PASSENGER Jaguar S-Type 2002-2006 IN GOOD CONDITION AND WORKING ORDER. S-Type models 2002-2006 VIN range M45255 through to M99999, N00001 through to N52047). (to find your VIN number see the last six characters of your VIN / Chassis number. Classic Mini Brake Caliper Bolts. Complete with4 Lock Washers, imperative for securing the bolt. Brake Caliper Bolts. Buying non high tensile bolts will lose your caliper with fatal results ! You need lock washers !